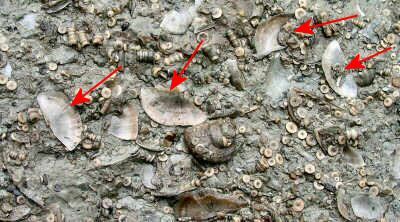 There were two common brachiopods found in this site. 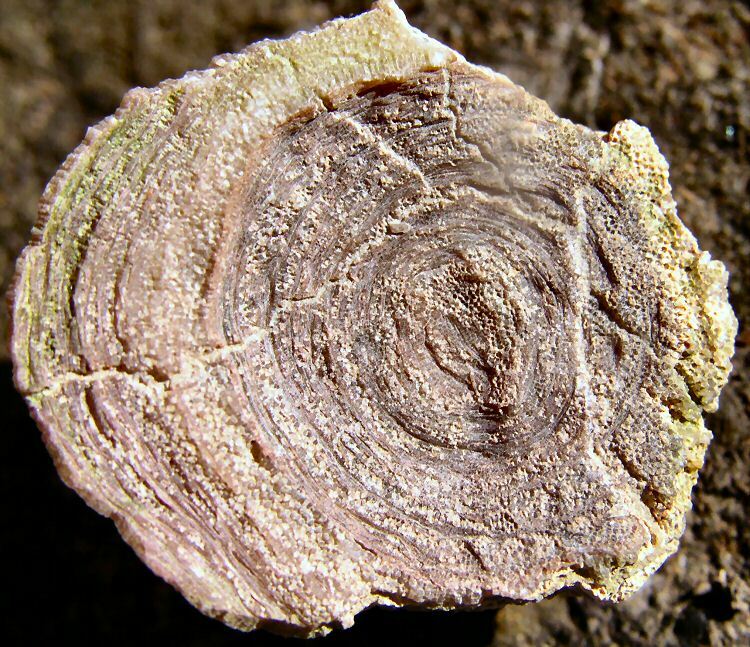 The first is Cincinnetina multisecta (formerly Cincinnetina multisecta). 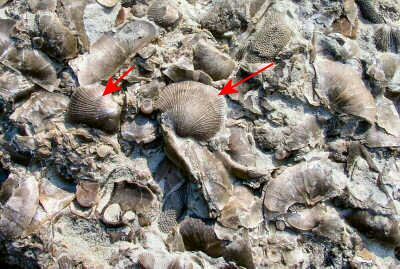 The second most common brachiopod is Sowerbyella. 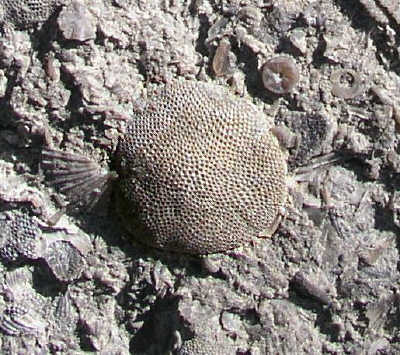 A hand lens, on this site, is an essential tool for finding all kinds of interesting fossils. 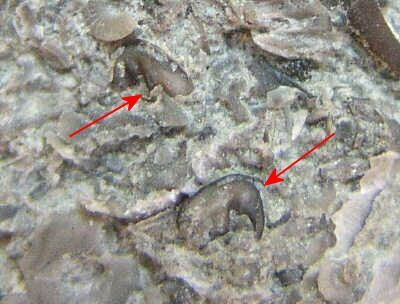 This rock (below) had a number of Ostracodes on it! 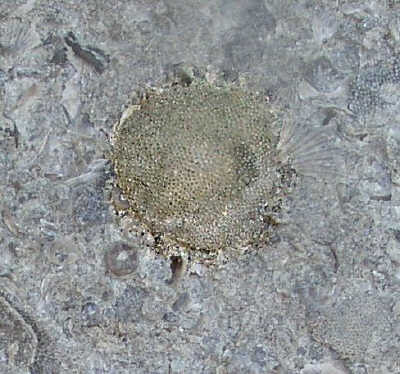 Another bryozoan commonly found on this site is Prasapora simulatrix, seen as cone shaped bryos below. 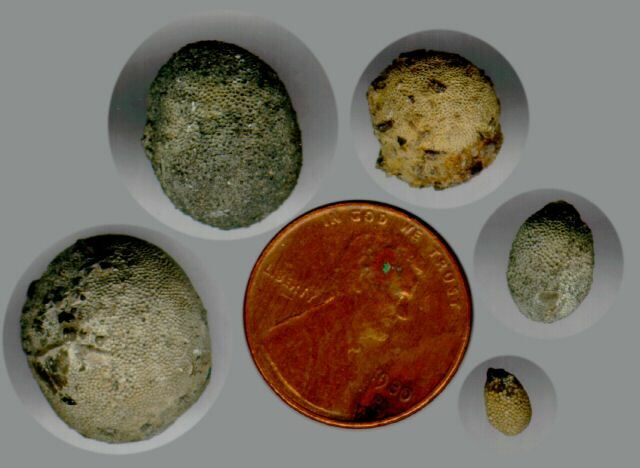 Be sure to check be circular bottom sides of these bryozoans for the rare and prized Ontopleurid trilobite, Primaspis..
Another type of bryozoan found that day was one that seems to form small balls. This photo, courtesy of our membership chair, Cindy Striley. That's all! Hope you enjoyed it. 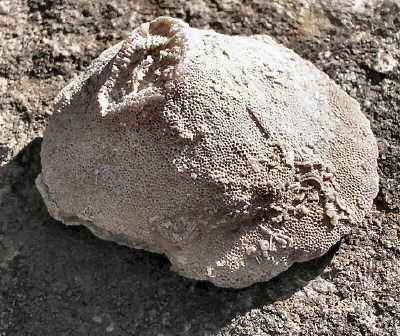 The Next Field Trip is March, 2005.